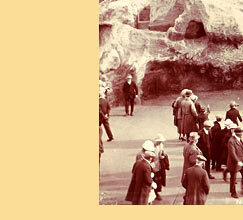 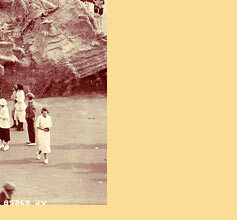 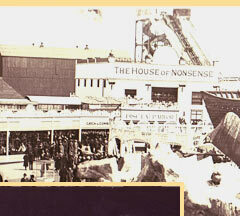 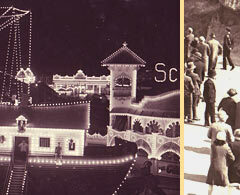 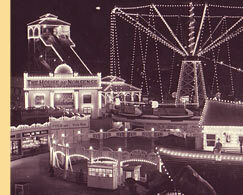 In winter 1921, Blackpool Pleasure Beach, then headed by William G. Bean, began construction of its Ark. 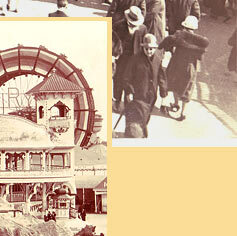 The project was directed by William Homer Strickler who resided at 6254 Winthrop Avenue, Chicago. 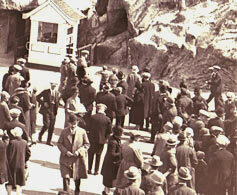 April 14, 1930, following a fall from the Southport Ark. 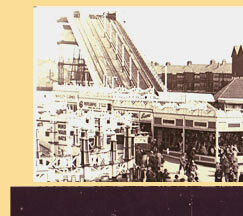 Blackpool was proud to open their new Ark in 1922. 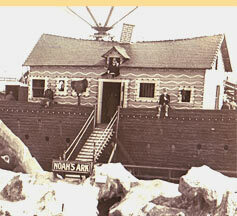 The Ark was a standard installation for that period, with Noah and family on the vessel’s deck, and some animals peeking out the port holes. 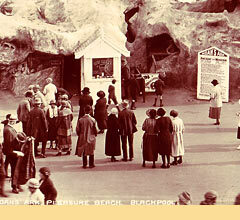 Like the Arks before it, Blackpool’s rocked back and forth over a scaled-down replica of Mount Ararat— a Hungary-based mountain chain believed to the settling location of Biblical Ark when the flood waters subsided. 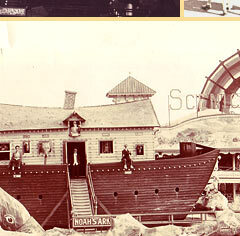 Other features included a whale’s head entrance and the Lilly Pads obstacle in which visitors tried to navigate their way from one wooden disk to another without stepping in the thigh-high water below them. 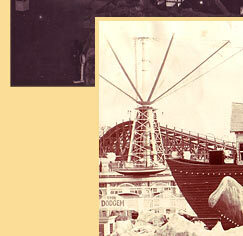 These were standard Leroy Raymond-designed ark features and both the whale and the Lilly Pads are still with the Ark today.